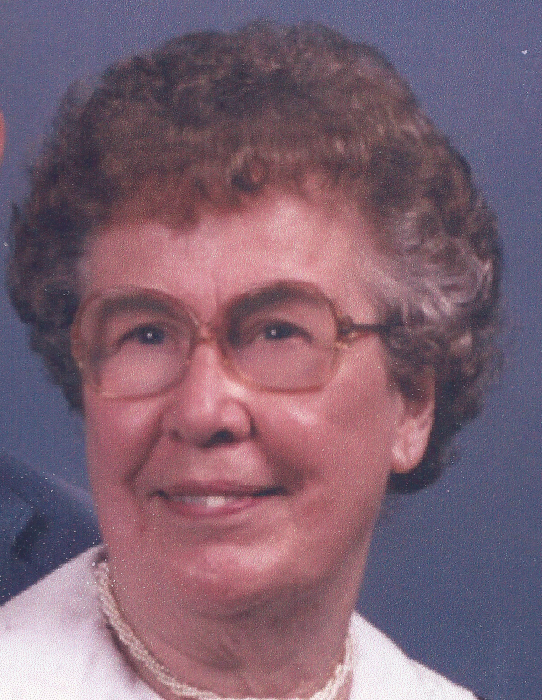 Georgiana Louise Myers age 95, Bunker Hill passed away on January 8th, 2018. She was born May 29th, 1922, the daughter of Clarence and Francis Hullinger in Wabash, Indiana. She graduated from Clay High School in 1940. During WWII she worked at Delco Radio making radios for the military but did not continue following the end of the war. On March 23, 1946 she married John Ward Myers. In 1957 they purchased a small farm in Deer Creek Township where they would live for the rest of their lives. At this home, they raised 4 sons along with several horses, a pony, a donkey, dogs, cats and many farm animals. Georgiana was very active in Mount Zion Free Methodist Church, all her life. After John retired they spent winters in Braden Castle Park in Fla., while there, they were active in that community also along with the Orange Grove Free Methodist Church. Georgiana is survived by a sister, Doris Moss, a brother, Donald Hullinger and 4 sons, John (Cindi), Steve (Laura), Jim (Brenda) and Tim (Laura) Myers: 9 grandchildren, Travis Myers, Allison (Danny) Taladay, Ila (Alexander) Moncoin, Collin (Nicole) Myers, Peter (Cynthia) Myers, Jamie Myers, Crystal (Gus) Berger, Danielle (Skylar) Scott, Bianca Myers: Four great grandchildren, Ethan and Brennan Myers, Sophia and Logan Berger. Georgiana is preceded in death by both parents, her husband and 3 siblings. A celebration of Georgiana’s life will be held at 1:00 p.m., Saturday, January 13, 2018 at Mount Zion Free Methodist Church, 13048 S. CR 400 W. Kokomo, IN 46901 with Pastor Ranay Brown officiating with Burial in the Galveston Cemetery to follow. Visitation will be held from 11:00 a.m. until time of services at 1:00 p.m. at the church.